Beyonce rehearses here for her famous 2018 Coachella performance, as documented in the Netflix special Homecoming. Beyonce snuggles up here with her twins. This photo was part of her Netflix documentary. Beyonce is on stage here as part of her popular Netflix special, Homecoming. Beyonce and Jay-Z shared a cute video in front of a portrait of Duchess Meghan Markle, praising her for the representation that she provides. How sweet! Beyonce has shared this rare and precious image of herself and one of her kids. Tupac is reportedly alive and well and partying with 50 Cent in Malaysia. Why not? Crazier things have happened in 2018! 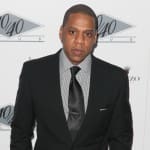 Jay-Z and Beyonce are shown here in this photo by their publicist in the aftermath of someone rushing up on stage and making some sort of physical contact with Jay-Z. Beyonce opens up in this issue of Vogue like never before. She spills SO much tea about herself. 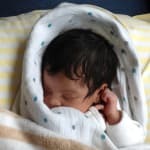 Beyonce shared this glimpse at her life as she holds her twins, Sir and Rumi Carter, who are each only about 13 months old. This is a still image from Jay-Z and Beyonce's joint music video. It dropped in June of 2018. Beyonce and Jay Z are big basketball fans. They are taking in a Golden State Warriors game in this photo.